Whether you have group coverage through an employer or individual health insurance, the details of your policy may be a bit confusing. Many want to pay as little as possible out of pocket and monthly. One of the most important things is understanding exactly what your hard-earned money is paying for. This information is necessary for many different reasons. First of all, knowing the costs can help you compare benefits and select the best option for you and your family. It also gives you an opportunity to adjust your budget to meet your medical needs. Here are the basics associated with health insurance costs and what they mean for you. Premiums are the regular payments made by the insured to the insurance company for coverage. They must be paid in order to maintain your health benefits. For those with individual coverage, these premiums are billed to you monthly. If you have group coverage, payments are deducted from your payroll. The actual amount of your premium depends on certain personal information. For example, smokers are responsible for a much higher premium than non-smokers. Once the price is set, however, it should remain locked-in until, at least, the next enrollment period. Because financial setbacks can happen, many plans offer a grace period for individual payments and stipulate a specific number of missed payments before coverage is terminated. The purpose of health insurance is to help consumers afford medical care. A co-pay is an established amount of money that the insured is responsible for when receiving medical services. This includes doctor’s office visits, trips to the emergency room, and prescription drug coverage. Co-insurance refers to the split between what the insurance company pays and what you must pay. These costs are typically reserved for major services, such as inpatient hospital treatment or lab work. The insured is responsible for co-pays as soon as their plan becomes effective. However, the co-insurance usually kicks in after the deductible is met. Another important term associated with health insurance costs is deductible. This is the amount of money the insured must pay before the insurance company honors their end of the agreement. The deductible is considerably more than a co-pay but less expensive than the cost of a procedure without health insurance. Fortunately, you are not required to pay this large sum of money immediately. Instead, the deductible is reduced every time you handle certain out-of-pocket expenses. For example, if your doctor charges you $75 for your last office visit, this amount will go towards your deductible. The deductible is an annual expense. This means that it will automatically renew when the next plan year begins. Most health insurance plans operate within a network. A network is a group of physicians and facilities that have agreed to accept patients from an insurance company. If you decide to see a doctor outside of your plan’s network, the visit will be more expensive. There are some plans available that offer out-of-network care without additional costs, however, they are usually more expensive and do not apply to group coverage. Also, doctors have the right to leave a certain network if they are not satisfied. To avoid unexpected costs or a canceled appointment, make sure that your doctor is in your insurance company’s network. In order to make a person’s healthcare budget more predictable, most plans also have an out-of-pocket max. This is the most a person can spend, excluding your premiums, before the insurance will cover 100% of the co-insurance. The out-of-pocket max is generally larger than or equal to the deductible. Like the deductible, however, the insured is not expected to pay this significant amount up front. It accumulates throughout the use of your coverage. Also similar to your deductible, the out-of-pocket max at the start of each plan year. What Coverage and Cost will Suit You? Healthcare costs have become more and more expensive over the years. Without insurance, it is difficult for the average person to afford even the most basic care. This is such a pressing issue that, in recent years, the government has stepped in to provide more assistance. If you have questions or concerns about your benefits, there are resources available to help. For group health insurance, reach out to your human resources department or the benefits coordinator. Those with private insurance can contact the company of their agent for an explanation. Regardless of how it is accomplished, you have a right to know about any product you buy. You are paying for many little things even if you have insurance, and you must be sure that you know what the insurance is paying for when you take out a policy. There are many people who are thinking that they can get everything paid for when they have insurance, and it is very hard for them to do that because more plans have their limits. Look at precisely what you are paying for and what the policy is paying for when you get your next insurance policy. You need to be aware of what the policy is all about, and you must invest your time in figuring out what the policy will do based on your personal medical needs. You might ask, how will gap insurance benefit me, and you are asking that because you know that your regular policy cannot pay for everything. You might also ask, why do you have to pay off your deductible because you do not want to pay out all that money to the insurance company or a provider. You thought that the policy would pay for everything, and you would be mistaken. There are many people who get confused by this, and that makes it hard for them to reconcile what they would do with the policy. Gap insurance is also known as supplemental insurance, and it will pay for anything that your regular insurance plan will not pay for. Someone who has Medicare is probably very familiar with this because the seniors who are on the Medicare program need to have a little bit more help. This also means that a lot of people who are trying to get the most complete coverage would take out one of these plans because that is easier than paying out all the extras from all their appointments. You can pay a small price for this insurance, and you can have both claims filed on the same day of the service you got. What Does The Insurance Company Pay For? Your insurance plan is going to lay out all the things that they pay for, and you can compare plans when you are shopping for something new to protect yourself or your family. Most people who are trying to get the best possible results from their insurance need to read what the company will do based on the kind of care they normally need. You can get insurance that is very basic because you are not the kind of person who runs off to the doctor every other week. However, you might need insurance that can help you with allergy testing and a lot of other things that will be helpful to you because you know that you will have to use all those different services. How Will Gap Insurance Benefit Me? Gap insurance will help you cover anything that you know most insurance companies will not deal with. You know that you need to have these things paid for, and you also have to be sure that you have figured out what you can do to pay for all the things that you need. You have to remember that you can get gap insurance that will make the gap disappear, and you also need to ask the gap insurance company if they have anything that they cannot cover based on the rules they have to work by. 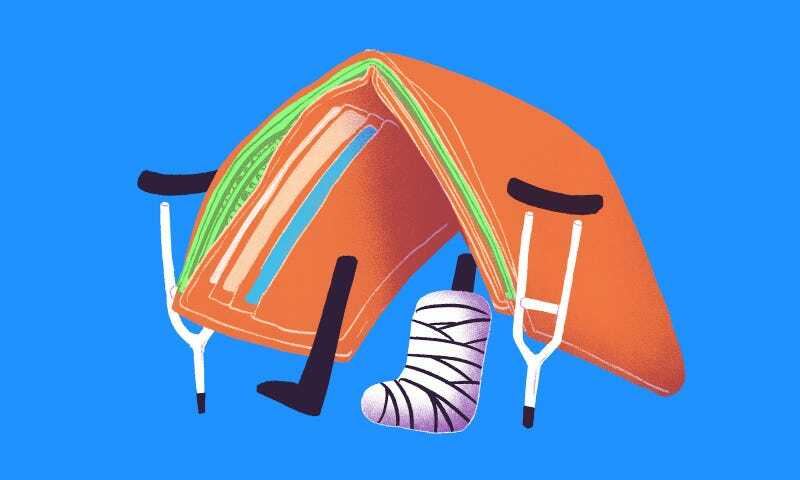 Lowering your deductible is one of the easier things to do because you can completely change how you pay for medical care if you get a deductible that is very low. You can also get a wonderful deductible that does not exist at all. You will pay more in premiums when you have a lower deductible, but that will help you pay for all your medical care because you will not spend much money on alt he things you need. You have to be sure that you have thought over what your options are because you could see many sliding deductible scales to work from, and you also have to ask yourself if you need to pay for this. How Do You Get Customer Service? The customer service that you get from these companies will be improved if you have chosen the company that actually gives the best customer care. Some companies have reviews online that explain how they can help people, and that is why you need to read the reviews. There are many people who would prefer to invest in an insurance company because they are going to get the best customer service. The customer care that you get also means that claims are easier to file, and you need to take a look at what you can do to get all your claims filed.